Apparently he’s got an honest-to-gawd, irony-free, hard-boiled detective novel coming soon. “Conversational Reading” has an excerpt. 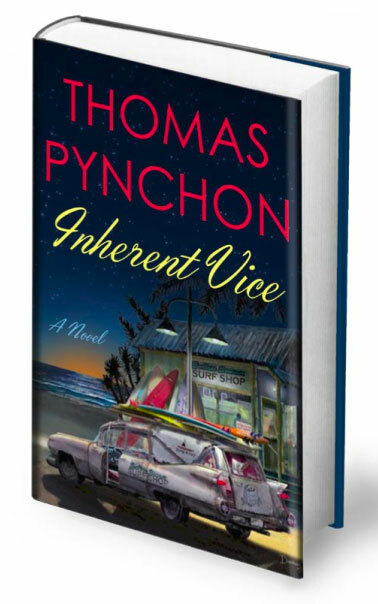 So let me get this straight… “The Goddamned” Frank Miller designed an edition of Gravity’s Rainbow, but when Pynchon writes a real noir novel we get this? Ah, that’s terrible. The Frank Miller edition of Gravity’s Rainbow is wonderful looking (didn’t know it was his until just now), but it has a deckle edge. Sure, it looks fancy, but it makes it so much more awkward to read. I went with the older Penguin cover because of it.